We know e-cigs don’t have actual tobacco or the other harmful ingredients (tar, carcinogens, etc.) that you find in regular cigarettes. Instead, e-cigs use a liquid nicotine solution known as e liquid or e juice. But what exactly is e liquid? There are four basic e liquid ingredients; water, nicotine, flavorings and a propylene glycol or vegetable glycerine base (or sometimes a mixture of PG and VG). Let’s break down the e liquid ingredients in detail. In choosing an E-Liquid, some people opt to go organic. This means that the e-juice going into your e-cig is only made from natural, “certified” organic flavors and nothing artificial. Also, it uses a vegetable glycerine or ethyl alcohol base, as opposed to the propylene base. E-liquid either comes in a pre-filled cartridge (cartomizer) or in a separate e-liquid bottle which is then poured into a reusable cartridge. An e-cig works by heating up the e-liquid solution with a battery. This produces the cloud of vapor that you inhale like a real cigarette. Have more questions? Check out our in-depth E-Liquid Ingredients guide. 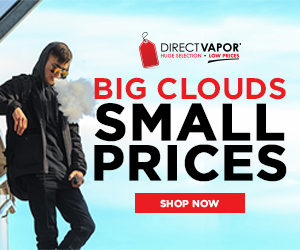 Now take a look at our list of the best e-liquids.